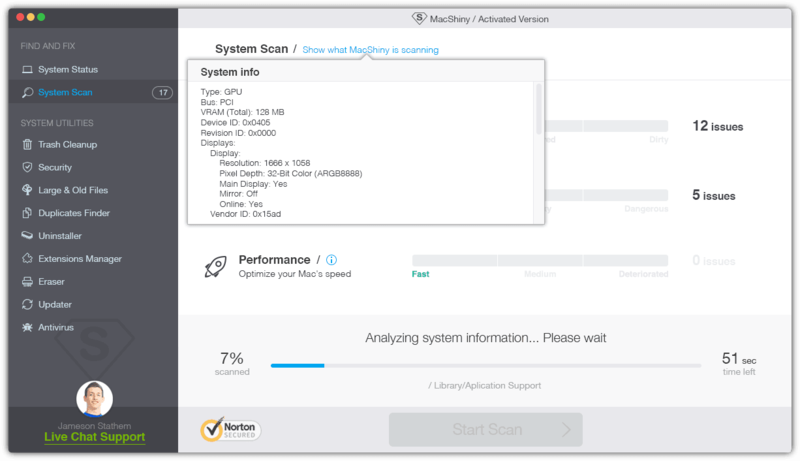 Advanced cleanup of your system can be amazingly fast! 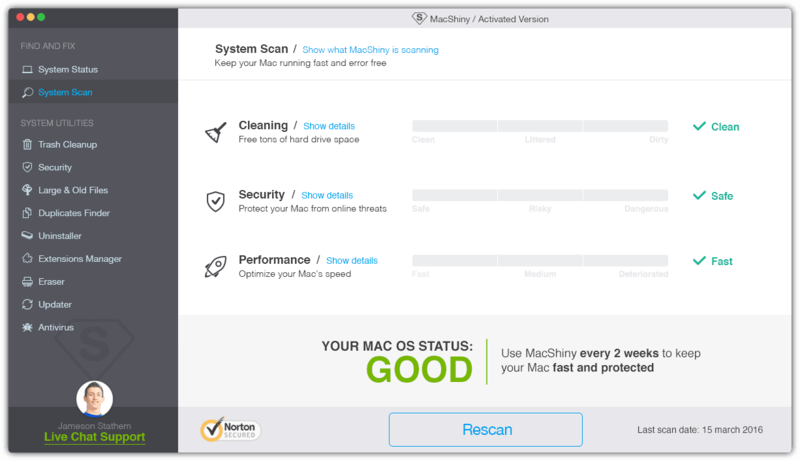 System scan lets you not only scan your Mac completely, but also find and delete various junk files: Universal Binaries, Development Junk, User Cache Files, System Cache Files, Language Files, System Log Files and User Log Files. It's safe to manually review each file suggested for deletion and automatically remove the detected junk files altogether. As a result of the System Scan you’ll be located to the System scan window. In this resulting window you’ll see some or all types of unneeded system files, which are recommended for removal: Language Files, User Cache Files, Development Junk, User Log Files, System Cache Files, Universal Binaries, System Log Files. Each application installed on your Mac has different localizations. Normally we use programs only in one language, so other unneeded language files can be removed. User Cache Files are all temporary files created by various web browsers and applications installed. Many system programs create temporary files for their faster launching and operating. Special text files created to record all requests made to applications and websites used by user are user log files. Despite you install and uninstall different apps such log files keep piling up on your system in bulk, that’s why must be removed from time to time. Information about system changes, operations, drivers and more system events is tracked by the system itself. Such information is stored in System Log Files, some of which become unneeded after some time and can be get rid of safely with no harm to the system. Universal Binaries are special files that allow applications run on both Intel and PowerPC computer architectures. Since your Mac requires only one architecture the part of Universal binaries necessary for second architecture can be completely removed. During installation of applications some of them can create support files in order to finish installation process of those apps on your Mac successfully. When the installation is finished those created files can be deleted in order to free space on your machine. Select the files you would like to get rid of and click "Clean"